. It is not possible to return perishable food like chocolates, biscuits and waffles unless they are of poor quality or where we have delivered goods that you did not order and you have not accepted them. The Consumer Protection Regulations 2000 (SI 2000 No. 2334) on distance selling, transpose into UK law Directive 97/7/EC on the protection of consumers in respect of distance contracts. Exceptions to the Distance Selling Regulations are goods that cannot be returned such as perishable goods. The purchase of products on our website Belgianchocs.com is therefore exempt from the Distance selling Regulations as these goods are classified as perishable food. Accordingly, a no return policy applies for all our products purchased online from this website. This does not affect your statutory rights.
. 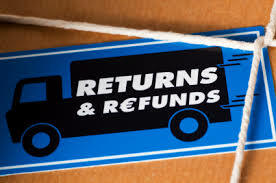 If goods are lost in the post, you must agree to our reasonable requirements for tracking the delivery before we can give you a full refund. Any refund due will be credited to the original card of purchase.
. We understand that some of our products are fragile. We pack our products with great care and have selected our freight carrier carefully. However, sometimes our products break in transit and only in case the product cannot be consumed anymore we will issue a refund. Any applications for a return, refund or credit will be carefully considered. Courier costs are non-refundable.